Apple included the ability to check battery’s health. The new feature has been criticized by users after it was detected that Apple replaced the CPU speeds on iPhones with old batteries. There are some big improvements made to ARKit. The Apple ARKit can detect horizontal surfaces such as chairs, tables and vertical surfaces like doors and walls. It can also recognize irregularly shaped surfaces such as circular tables. Besides, iPhone users are getting the latest 16 new Animoji features in iOS 12. Animojis are customized animated emoji that reflect your facial and vocal expressions. iOS 12 latest features include four new Animoji. They have animated character similar to facial expressions and voice using the TrueDepth camera. Animoji is available to iPhone users with the latest iOS 11. Users will have access to skeleton, dragon, lion and bear Animoji which makes the number of Animoji available to 16. The anomoji makes use of front-facing camera and algorithmic technology into a Face detection tools. These features are built into the Apple iMessage texting app and Messages. 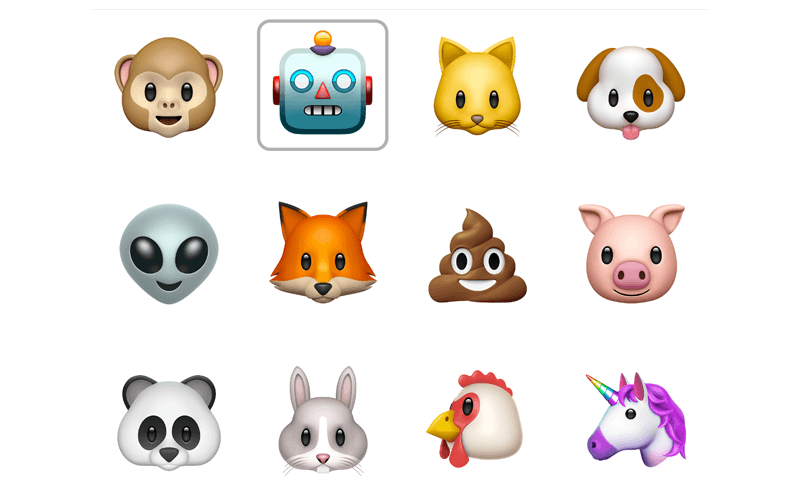 The emojis include: rabbit, robot, fox, pig, cat, chicken, panda, alien, monkey, poo, unicorn, and dog are capable of becoming new Animojis. It is possible to develop your Animoji and share it with other iPhone users. The TrueDepth camera on iPhone X recognizes your facial expressions in a different Animoji in the Messages app. Step 1: Launch the Messages app and create a new message or click on the existing message. Step 2: Select an Animoji from the left corner of the screen. Step 3: Look into your iPhone X and place your face close to the frame. Step 4: Start recording. Record for about 10 seconds and stop. Step 5: Preview your Animoji. You can also tap on your Animoji to delete it. Step 1: In the message thread click on the Animoji. Step 2: Swipe up and save the Animoji. For iPhone 6, iPod touch or iPad users, you can hold the Animoji and click on save. 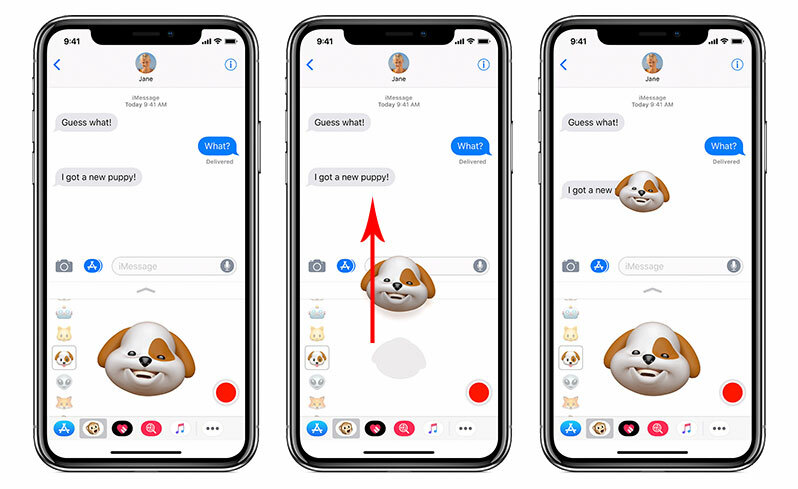 Also, you can click on the Animoji in the message thread; it will display the full screen to save the video. iOS device can be used to search for Animoji saved in the Photos app. Step 1: Launch the Apple’s Messages app on your device. Click on the App store logo close to the text field in the conversation history. Step 2: Open the Animoji from the selection App store apps. Step 3: Tap on the red record button. Step 4: Click on the send button to send the Animoji. It’s interesting to send messages with animoji, however, you may feel regret about some messages and want to completely erase them. There are many third-party apps that you can use to delete deleted data from iPhone. One of the versatile and flexible apps is the iMyFone Umate Pro. 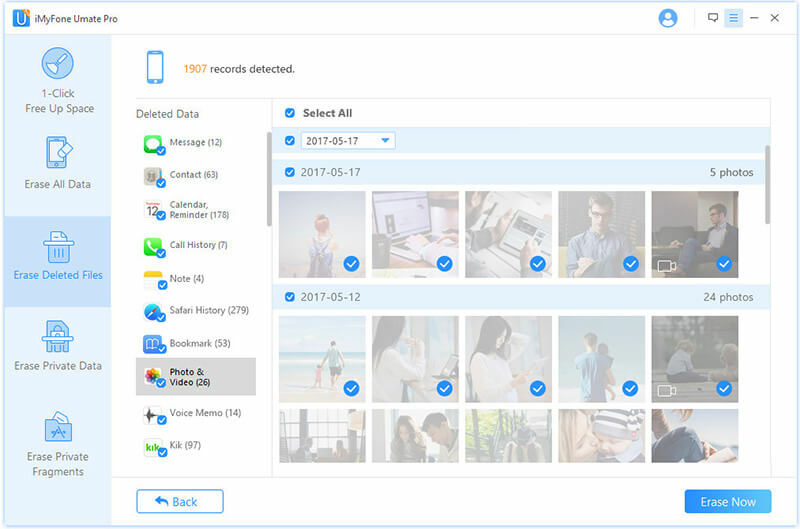 iMyFone iPhone Data Eraser for Win or for Mac is the best app to erase iPhone deleted messages. The tool helps to erase messages, photos, videos, voice memo, calendar, call history, etc. Completely delete iPhone current and deleted messages. Completely overwrite data and 100% unrecoverable. Permanently erase fragments in third-party apps like Wechat, Viber, Facebook, and WhatsApp, etc. Selectively erase private data to avoid data leakages. 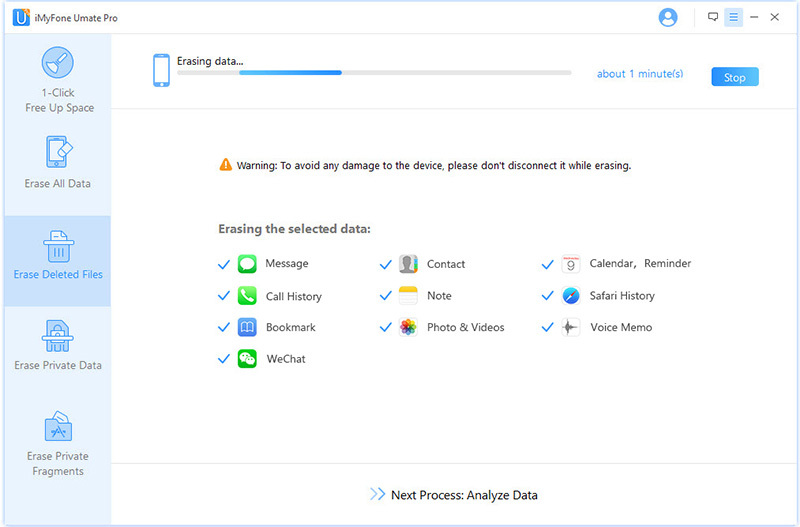 Conveniently erase iOS data such as contact information, messages, videos, browser history, and images, etc. You can follow the steps below to erase deleted messages from your device using iMyFone Umate Pro. Step 1: Open iMyFone Umate Pro and use a USB cable to connect your device to the PC. Step 2: Tap the “Erase Deleted Files” option and “Scan.” The app will scan your device for deleted files. Step 3: When the scan is complete, you can easily view the deleted messages that you need to erase.